Got a DIY Disaster fit for a TV appearance? Let us know! 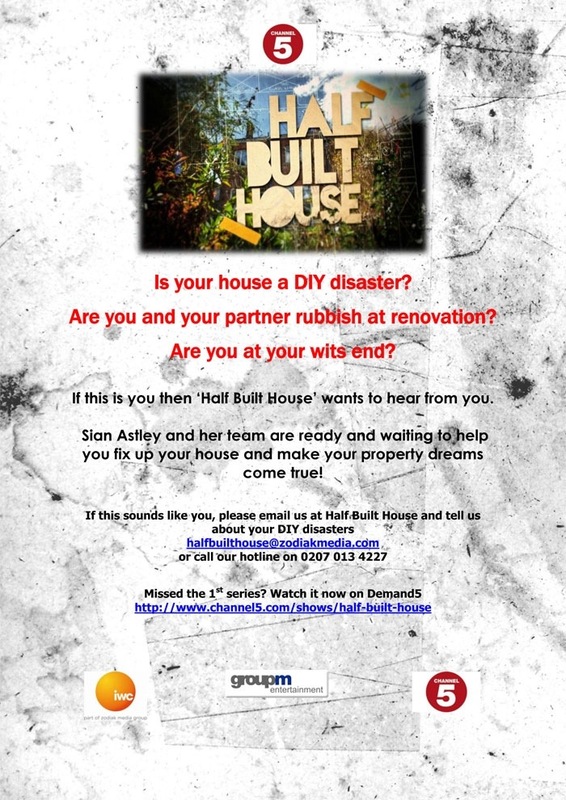 Team Half Built House are still searching for lovely and enthusiastic DIYers who’ve got the end of their tether / ability / sanity!! Please get in touch if that’s you, or repost this image on your FB or blog if you might know people who need a little (or a lot!) of help in the DIY department. We’re talking back to brick rip outs guys, not just a bit of wallpapering and anyone in need of assistance MUST have attempted the work on their home themselves!